Intended UseHuman HBcAb-IgM ELISA Kit allows for the in vitro quantitative determination of HBcAb-IgM , concentrations in serum, Plasma , tissue homogenates and Cell culture supernates and Other biological fluids. 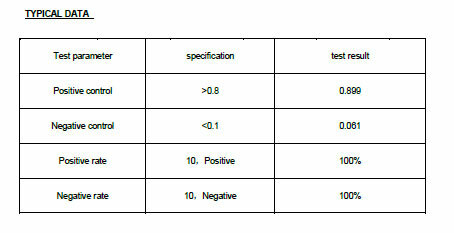 specificalPrinciple of the Assay: The microtiter plate provided in this kit has been pre-coated with anti-human IgM antibody. Samples are then added to the appropriate microtiter plate wells and incubated. Then add HBcAg and Horseradish Peroxidase (HRP)-conjugated HBcAb and incubated. Following a wash to remove any unbound reagent, a substrate solution is added to the wells and color develops in proportion to the amount of human HBcAb-IgM bound in the initial st ep. The color development isstopped and the intensity of the color is measured. Inquiry About Human HBcAb-IgM ELISA Kit If you hope to order it or contact us directly, please contact us via sales@biobool.com. We will get back to you in 12hrs,Thanks!